Have a question for Amity Poshtel? "Close to everything, good location." 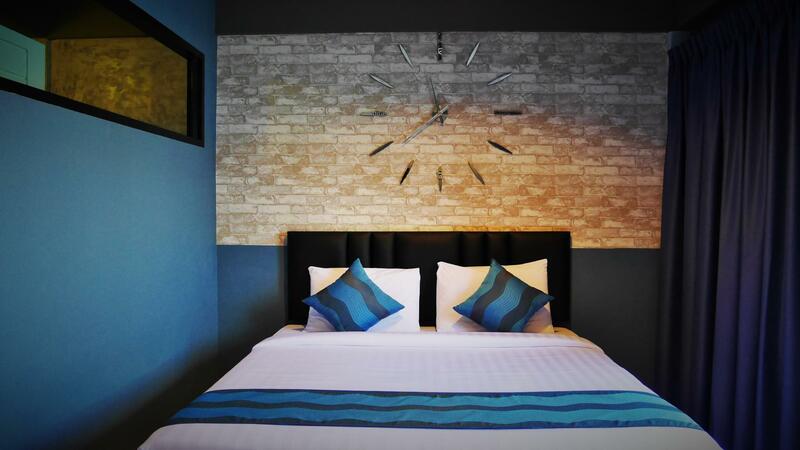 "Clean, easily accessible, spacious and only 5 mins away from..."
When visiting Krabi, you'll feel right at home at Amity Poshtel, which offers quality accommodation and great service. The city center is merely 0 km away and the airport can be reached within 20 minutes. With its convenient location, the hotel offers easy access to the city's must-see destinations. 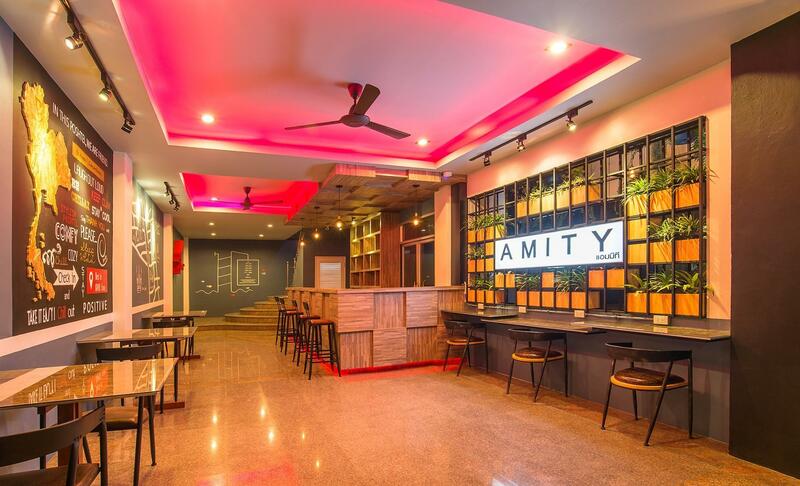 Offering hotel guests superior services and a broad range of amenities, Amity Poshtel is committed to ensuring that your stay is as comfortable as possible. While lodging at this wonderful property, guests can enjoy free Wi-Fi in all rooms, daily housekeeping, laundromat, taxi service, 24-hour front desk. The ambiance of Amity Poshtel is reflected in every guestroom. television LCD/plasma screen, locker, mirror, sofa, towels are just some of the facilities that can be found throughout the property. The hotel offers an excellent variety of recreational facilities, including snorkeling. With an ideal location and facilities to match, Amity Poshtel hits the spot in many ways. "Basically my stay in Amity was awesome." hey anyone who would like to get a budget hotel, this would be the one , the surrounding is good , walk to night market its only within 5 minutes ++ furthermore, the hotel is clean and big , the toilet big and nice. It is a little noisy and the people, who are working there can‘t really speak english, so it makes it not easy to book at the tourist information desk in the hotel like forther destination... they can‘t give you well informations, and even they are a little unfriendly. Female dorm of 5 : Clean, spacious, well functioned air conditioning, bath towel provided. Shower/toilet : Hot water isn’t working. Cleanliness rate is acceptable. Walking distance to the Night Market, hotel is easy to reach using Google Map. Water dispenser (hot/cold) and tv are provided at living hall. Deposit is needed for room key. comfortable beds, pillows a bit hard, great AC in rooms, clean washrooms (unisex shared). As for location well there isn't much to do in Krabi town, at all, the night market is right by and the bus to the beaches is a short walks distance. The staff is more focused on selling you packages then actually giving you advice on things to do. but for solo traveler, there's like 100 beds all over the hostel so you have this anonymous feeling and don't feel any warmth and cosiness known from smaller hostels. It's near the night market, but quite far from Ao Nang and it's hard to get to the airport early in the morning as you need to hire a private taxi for ~500 THB (200 THB for mototaxi when having only a hand luggage). The hotel room was spacious and clean, with all the amenities you would expect like shampoo, shower gel and a safe in the room. However I found that the light in the bathroom didn't work, not a big issue since there was enough light to see to shower still. When I reported the issue though I was told it would be seen to in about ten minutes... Well 15+ hours later it still hasn't been. Then the next day when I tried to have breakfast at the hotel, I spoke to the lady at the bar and she just completely ignored me and kept playing on her phone. By the time she eventually looked up I was halfway out of the door. So yes the rooms are good, but the staff really do need a kick up the a*** to get them moving. Basically my stay in Amity was awesome. Just that the bed was not so comfortable as i find it too hard to sleep. The toilet was huge but the water flowing down the hole was either stuck or it didn't really sink down and it nearly flooded the entire bathroom. Other than that, everything was in good condition. 7-11, pharmacy and eateries are just a few meters of walking distance. The staffs are also very friendly upon our stay. I was only here as a transfer hostel, but it was really nice. The facilities are really great, the beds aren't too bad compared to the regular hard beds all over Thailand, and there's plenty of space. Not much going on around the hostel, but I still enjoyed my quick stay here. Lovely hostel a 15 min walk from the ferry. Very clean but the mattresses are very uncomfortable, they are so hard. Very quiet which was what we wanted but not much atmosphere and no common area. Staff we very friendly and made you feel welcome. Overall a peaceful stay. The facilities and roof top space were great. The hostel is also within walking distance of the night markets and the pier. The best part was the beds though. Two pillows, soft sheets, and a fluffy comforter. With the AirCon on it was hard to get out of bed in the mornings cause I was so comfortable. pros: cleanliness, very good toilet and shower area, spacious dorm rooms, nice, big and sunny terrace to hang out and do the laundry (plenty of space to dry clothes), excellent value for money (small) cons: A/C in the room was a bit loud, no curtains in the bed (but actually I didn't miss them much) highly recommended if you stay in Krabi town! The pillows were stinking as if they never washed them. If you cover stinky dirty pillow by a clean sheet it will still stink! Horrendous! Does the owner ever visit and do the check of the rooms? He should do so! The night rate is very reasonable when you book through Agoda, you get cheaper price at Agoda compare to directly walk in to the hostel. 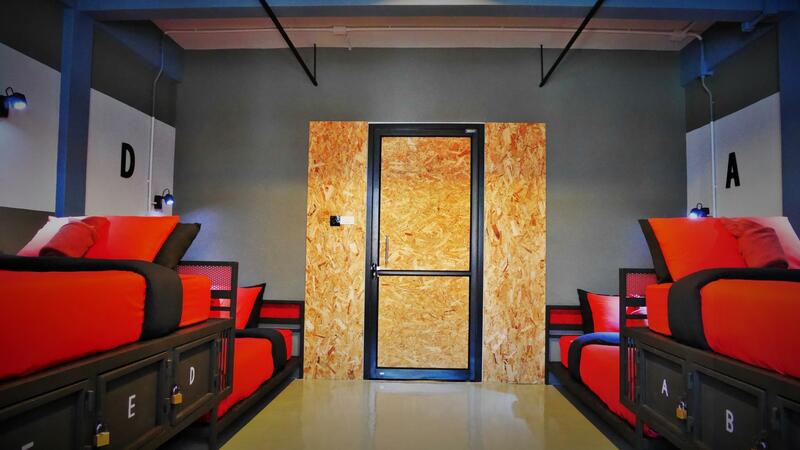 The hostel is newly renovated, everything looks brand new, bed is comfortable, toilet is clean. It is also close to the weekend night market (3mins walk), local food store is easily accessible. 6 persons shared a room, it just take 1 person to mess up. I stayed for 2 nights. It is an aircon room but no aircon on the first night cause it was switched off as 1 person complaint about the noise from the aircon. 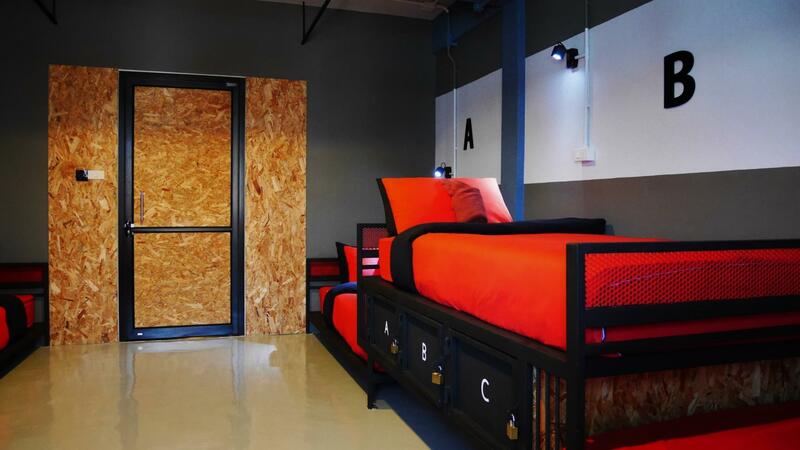 The hostel itself is okay. The beds are comfy and each has their own sockets and reading lamp. But my room was right next to the bathroom - maybe that was the reason why it smelled really moldy. If I’d stayed for longer than a night, I would have changed the room.